McFarland & Company, 9781476668871, 229pp. 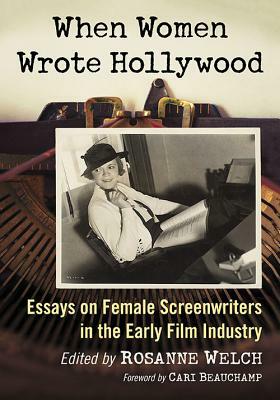 ﻿ This collection of 23 new essays focuses on the lives of female screenwriters of Golden Age Hollywood, whose work helped create those unforgettable stories and characters beloved by audiences--but whose names have been left out of most film histories. The contributors trace the careers of such writers as Anita Loos, Adela Rogers St. Johns, Lillian Hellman, Gene Gauntier, Eve Unsell and Ida May Park, and explore themes of their writing in classics like Gentlemen Prefer Blondes, Ben Hur, and It's a Wonderful Life.